Is theater a “safe space,” as President-elect Donald Trump has asserted? If so, safe for whom? Or should it be a place to evoke questioning and discomfort, among other things? Artists and others must consider the meaning of a challenge to art being art in all its fullness and diversity. Breaking the wall between performers and audience, this is the message that Aaron Burr actor Brandon Victor Dixon read to Pence during the curtain call that Trump (not Pence) found offensive. A visiting dignitary would normally greet the cast backstage following the performance. Pence was on his way out of the theater, but stopped in the lobby to listen to Dixon’s message and then left. Some believe that the incident itself was contrived as a distraction from the Trump University fraud settlement. Perhaps it was, in a way, an example of what a reality star does for a living. But there is also a deeper question here for those of us trying to hold to principles of loyal opposition and free expression. The Broadway musical celebrates founding father Alexander Hamilton, an immigrant allegedly born out of wedlock in the British West Indies. Hamilton was killed in an illegal duel with Aaron Burr, who had been named the nation’s third vice president when Jefferson and Burr tied for the presidency in the Electoral College in 1801. Hamilton’s author, Lin-Manuel Miranda; the lead producer, Jeffrey Seller; and the cast members wrote the plea to Mr. Pence. They learned that Pence would be attending the performance at the last minute. 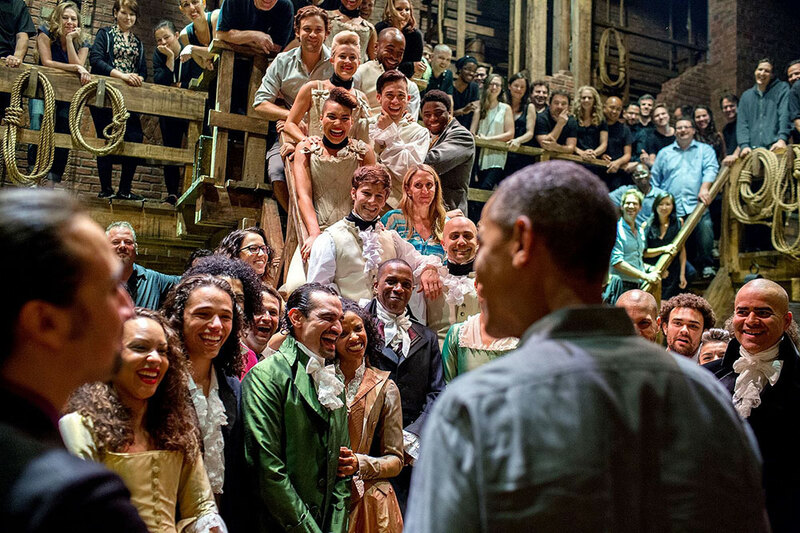 Hamilton was not the subject of Trump’s only complaint this past weekend. At 8:26 AM on Sunday Morning he tweeted: “I watched parts of ‪@nbcsnl Saturday Night Live last night. It is a totally one-sided, biased show – nothing funny at all. Equal time for us?” The Alec Baldwin Foundation responded via Twitter. Do these Twitter tantrums presage Trump’s “presidential” temperament once he gets into office? Should Americans be concerned about the president-elect’s tolerance for dissent? Or is all of this merely the Trump organization’s own form of theater?